Information reaching us from the PDP Special Convention holding at the Eagle square Abuja shows that the ruling party may be heading for implosion. 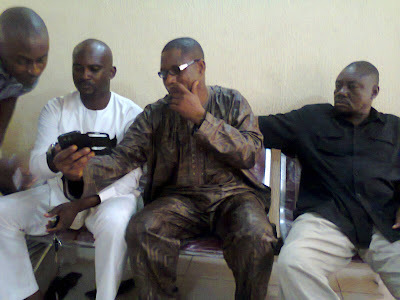 Aside the free for all fight between the Andy Uba’s loyalists and those of Nwike at the appearance of the former to the venue, report also indicates that Alhaji Atiku Abubakar also walked out of the convention with 8 Governors in an apparent show of dissatisfaction over the level of preparations and the politicking surrounding the convention. 1981: Samuel Eto'o Fils was born on March 10th in Douala, Cameroon. 1997: Makes his international debut for Cameroon in a 5-0 friendly loss to Costa Rica. Signs contract with Real Madrid, but is loaned out to Leganes. June 1998: Included in Cameroon's World Cup squad aged 17 years and three months. Becomes the youngest player to feature at France 98, during a 3-0 group-stage loss to Italy. July 1998: Loaned by Madrid to Real Mallorca. February 2000: Wins African Nations Cup as Cameroon beat Nigeria in a penalty shoot-out. July - Makes move to Mallorca permanent. September - Scores from open play and adds a penalty in the shoot-out of the 2000 Olympic Games final as Cameroon beat Spain to take the gold medal. 2002: Helps Cameroon lift the African Nations Cup for a fourth time after penalty shoot-out win against Senegal. May 2003: Scores two late goals in the Copa del Rey final to help Mallorca beat Recreativo de Huelva. July 2004: Signs for Barcelona for around £21million. May 2005: Scores 25 goals in 37 league appearances to help Barcelona win Primera Division. December - Finishes third in FIFA World Player of the Year voting. May 2006: Collects another Primera Division title and finishes as league's top scorer with 26 goals. Scores equaliser as Barcelona come from goal down to beat Arsenal 2-1 in Champions League final in Paris. 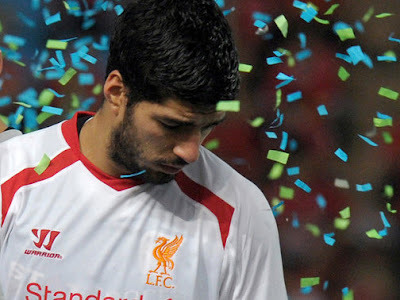 February 2007: Refuses to come on as substitute for Barcelona in a league match against Racing Santander. October - Receives Spanish citizenship. May 2009: Helps Barcelona achieve league, cup and Champions League treble. Scores 30 league goals and nets as Barcelona defeat Manchester United 2-0 in Rome to land their European title. July 27 - Signs five-year deal with Inter Milan, as part of exchange move involving Zlatan Ibrahimovic. March 17th 2010: Scores as Inter win 1-0 at Chelsea to complete aggregate 3-1 success in Champions League second round. May - Helps Inter win the Champions League, Serie A and Coppa Italia - for Eto'o a second successive treble-winning season. May 2011: Ends the season with 37 goals for Inter, but the club miss out on Champions League and Serie A silverware. Inter retain Coppa Italia as Eto'o scores twice in 3-1 win over Palermo in the final. worth an annual £17million after tax. 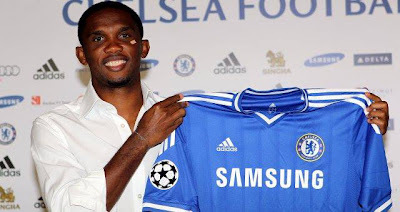 August 29th 2013: After Anzhi rein in their spending, Eto'o is allowed to join Chelsea on a one-year contract. 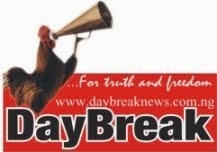 DayBreak's 1st Edition; selling fast like crude oil! Make sure you grab a copy. 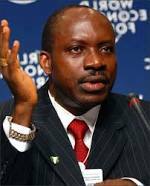 The All Progressive Grand Alliance (APGA) Screening Committee on Friday disqualified the former Governor of the Central Bank of Nigeria (CBN) Prof Charles Chukwuma Soludo and five other governorship aspirants on the party’s platform for the November 16th Governorship elections in Anambra State. According to a statement signed by the Chairman of the Gubernatorial Screening panel, Alhaji Tayo Sowunmi, Secretary, Bar. 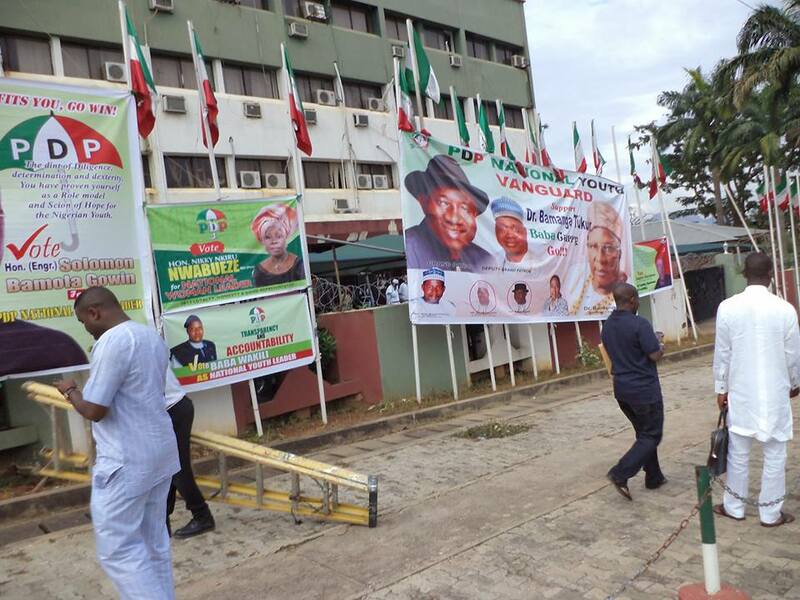 Ifeanyi Mbaeri and a member, Chief Onwuka Ukwa, said at the conclusion of the panel’s sitting yesterday, the six aspirant’s failed to scale through the test. The six aspirants that failed the screening include, Emmanuel Nweke, Ogbuefi Tony Nnaechetta, Chinedu Francis Idigo, Dr. Chike Obidigbo, Immediate past Secretary to Anambra State Government Oseloka Obaze and Prof. Soludo. The panel however said that seven aspirants were successful. 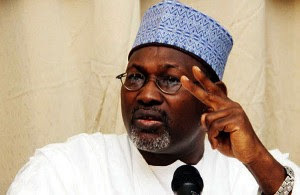 The Independent National Electoral Commission (INEC) on Friday said that it has registered two new political parties in accordance with the provisions of the 1999 Constitution of the Federal Republic of Nigeria (as Amended) and the Electoral Act 2010 (as Amended). 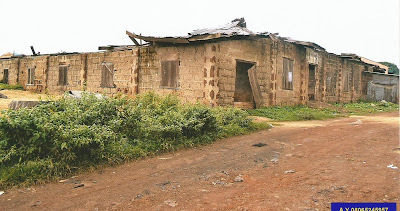 It was at the Ipole Otukpa’s secretariat of the Peoples’ Democratic Party (PDP), Ai-Oodo ward II, where the Member of Ogbadibo Executive Council and the Supervisory Councilor for Works and Housing, Hon. 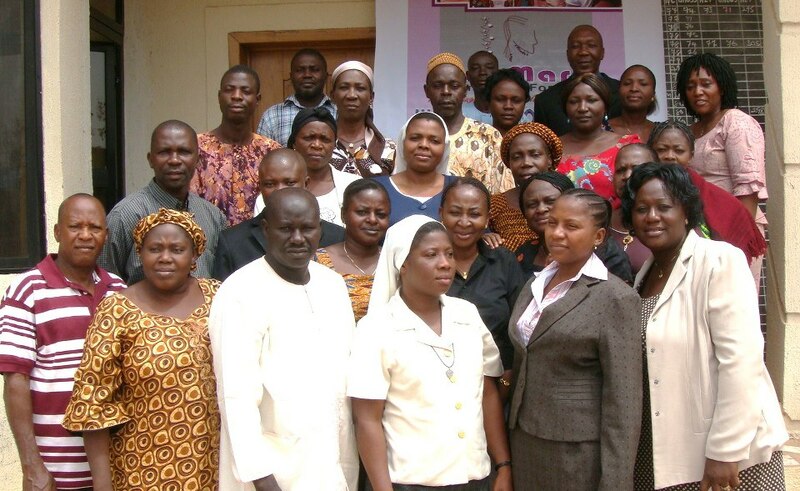 James Obonyilo organized a social function for all the stakeholders in Ai-Oodo wards I and II on 27th July 2013. The AdaMark Foundation for Girls with support from The National Agency for the Control of AIDS (NACA) Nigeria is implementing a 6 Month HIV Prevention Program Using Minimum Prevention Package Intervention (MPPI) and Prevention Intervention Tracking Tool (PITT) to scale up efforts in reducing HIV/AIDS transmission and reduce national prevalence in Otukpo LGA of Benue State. The foundation is therefore requesting for expression of interest from youths resident within Otukpo metropolis and environs to serve as peer facilitators. This position is on a voluntary basis and so is not remunerated. • A minimum of National Diploma or NCE from a recognized institution. • Age: 22 – 35 years. * Evidence of experience in Project Monitoring and Evaluation. All applications letters must be submitted via e-mail with referee’s telephone numbers and other contact details to adamark4girls@gmail.com not later than close of work on Tuesday, 20th August 2013. Please include in the letter the motivation for your interest. 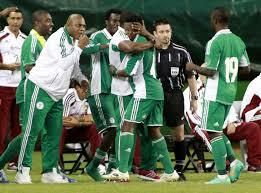 SPORTS: Results of International Friendlies Played Across the Globe Yesterday, Wednesday 14th August, 2013. Uche Nwafor came off the bench to score a brace as Nigeria defeated South Africa 2-0 in the Nelson Mandela Challenge at the Moses Mabhida Stadium on Wednesday night. 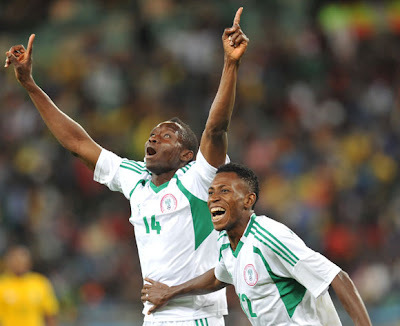 Both sides had a number of chances but the Super eagles proved to be stronger in the second half after making telling changes with the Nwafor, Victor Moses and Ahmed Musa coming at the break to reinforce the attack. 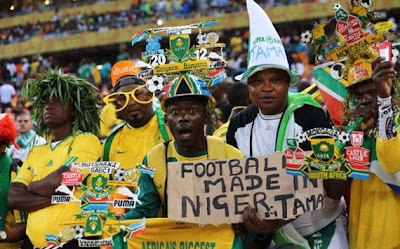 The match got off to a slow start but in the 11th minute Itumeleng Khune was forced to come out of his line to intercept a long pass that was destined for Nnamdi Oduamadi, while Tshepo Masilela fired wide at the other end three minutes later. 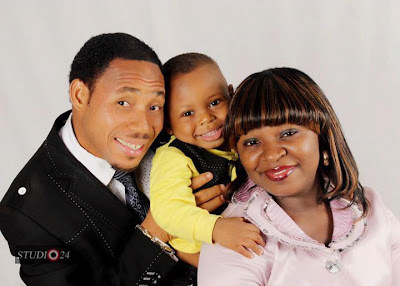 Apa Update, (our sister News Magazine) just learnt that Eunice Morgan, wife of ace gospel sensation and Arabaribiti crooner, Chris Morgan just delivered a bouncing baby boy early this morning. We exclusively gathered that the mother and the new baby are in good condition. A statement from the publicist reads, "Join us in appreciating the Most High God for blessing the family of Chris Morgan with another child." THRILL YOUR CALLERS WITH CALLER TUNES from him as a mark of appreciation to God! For: "I Do" - text download 555107 to 251; "We Cry Abba Father" - text download 555108 to 251 and for "Arabaribiti" - text download 555106 to 251. For "Arabaribiti" - 0057574; "We Cry Abba father"- 0057575 "I Do" - 0057576. Text SUB to 791, then buy (space) code to 791 eg buy 0057576 to 791. Text code to 4100 "Arabaribiti" 018552 "I Do" 018553 "We cry Abba father" 018554. 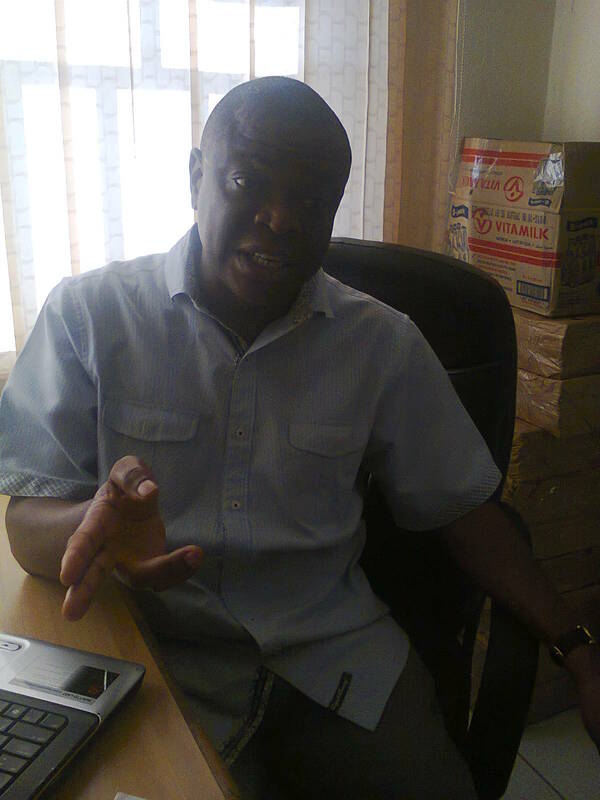 - Jaye Gaskia, Social Activist, Civil Society Campaigner and National Convener, United Action for Democracy (UAD) in an exclusive interview with DayBreak Newspaper in his Abuja office. Get the details in the next week edition of DayBreak Newspaper. This ghastly motor accident involving a fully loaded commuter bus happened some minutes ago along Ikorodu road on the bridge descending National Stadium Lagos. At least 4 lives were lost in the accident, some of them were burnt beyond recognition, among them was a mother and her baby. 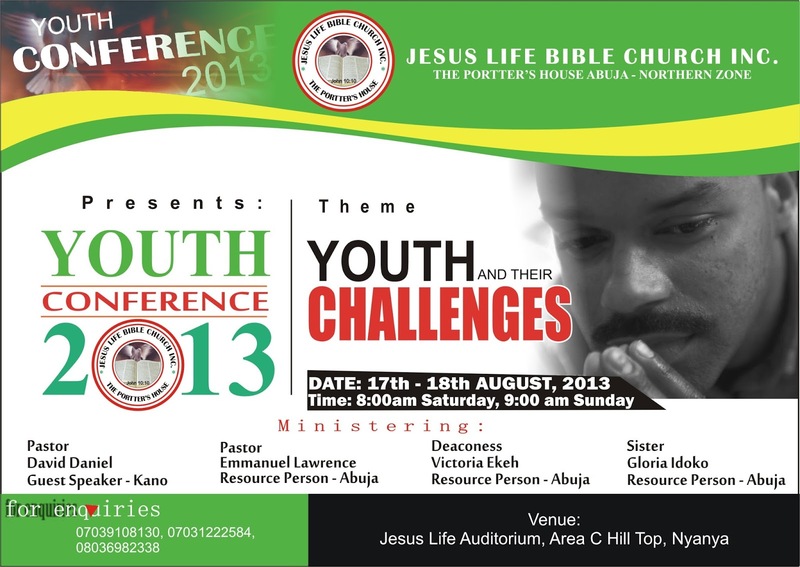 International Youth Day is on Monday 12th of August, 2013. The UN will be celebrating it under the theme: 'Youth Migration: Moving Development Forward.'. Youths in Oju LGC of Benue State will be marking it in a special way in reflection of the day. All youths in and around OJU are urged to avail themselves for this event as issues critical on youths and our environment shall be high-lighted. Advertise with us and get your products and services published online as bonus. Offer valid till October 2013. There are spaces for goodwill messages, obituaries, memorials, congratulatory messages, rejoinders, legal notices, political adverts, disclaimers, entertainments, associations/club activities, auction sales, annual reports, balance sheets, supplements, spot lights, focuses, personality profiles, book reviews, press releases, job search, change of name, religious crusades, and other public notices. · All AAPN member-agencies are entitled to the approved Agency Commission. 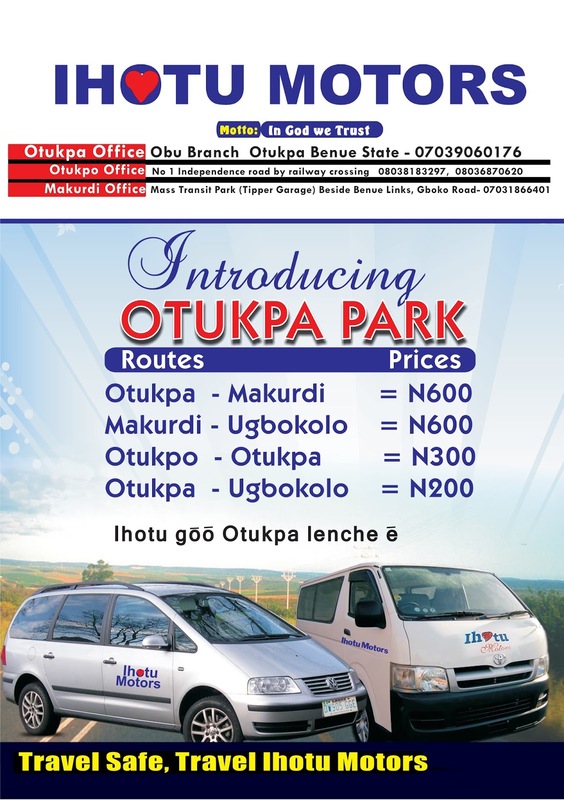 For advert placement or other bookings, please contact any of our Marketing Executives, Patience on 08055554730, Vera on 08078661919, Jerry on 08069449571 or Adaeze on 08162216100 and insist on cash RECEIPT upon payment. All enquiries or complains should be directed to the Admin Manager, Ebony Multimedia Productions Ltd., No. 12, Abdullahi Adamu Road, by Checking Point, Nyanya Abuja. Tel. No: 08067874399, 08057460706. Details of their visit in our next week edition. (L-R: The PRO, Otukpa Forum Abuja, Mr. Tony Ogwuche; The President, Engr. Dr. Ben Agada and Mr. Benedict Owoicho Akor, during their courtesy visit to DayBreak Newspaper's Corporate Headquarters in Abuja on Friday). Arsenal have been drawn to face Turkish club Fenerbahce in the Champions League play-offs. They have challenged that ruling and a CAS verdict is due before the group stage draw is made, but home and away matches against Arsenal stand to go ahead before that decision arrives. UEFA says no decision has yet been made regarding what would happen in the event of Fenerbahce winning the tie and losing their CAS appeal. Fenerbahce finished second in the Turkish Super League last season, while Arsenal took fourth place in the Barclays Premier League. 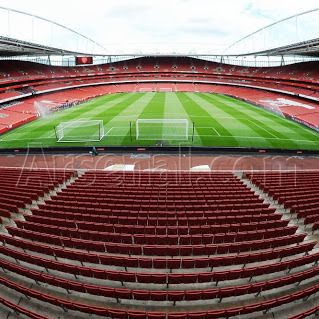 Arsenal was beaten by a Turkish club Galatasaray 1-2 recently at their home during the Emirate cup. Meet the editorial crew who are working tirelessly to give you crude reports from the grassroots across the country. As promised, the first edition of DayBreak Newspaper comes out next week. Make sure you grab a copy, it goes for N200 only. Aminu Abubakar (Kaduna), Jenifer Anthony (Jos). Barr. 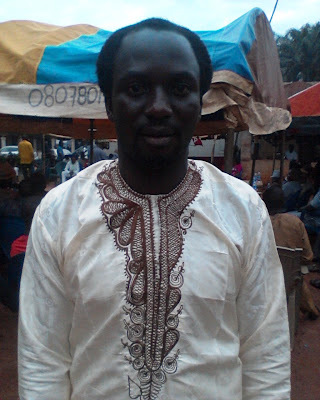 Chris Audu-War (Legal Adviser). Office Assistant: - Juliet Amuta. Freelancers: - Interested Freelancers are welcome from across the country. 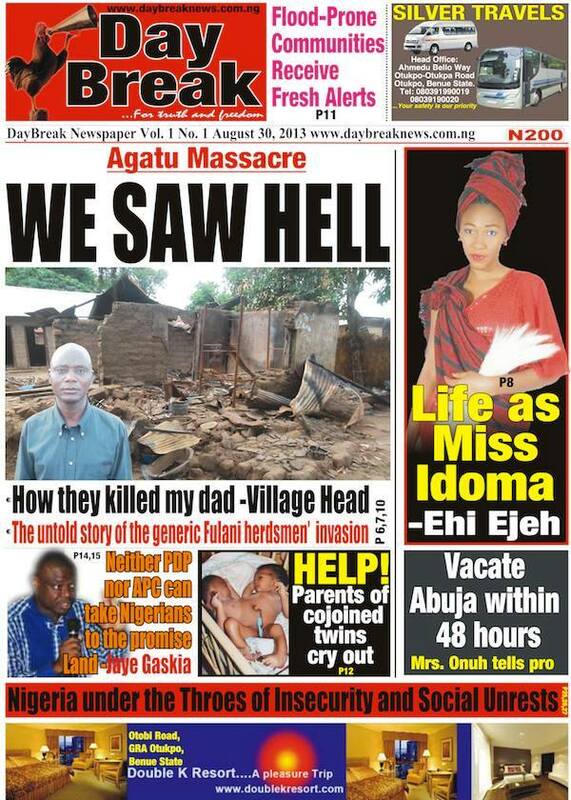 DayBreak Newspaper is a publication of EBONY MULTIMEDIA LIMITED, Abuja Nigeria. 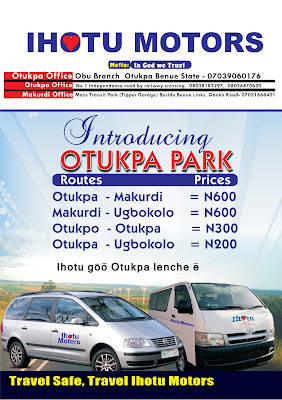 For advert placement or other bookings, please contact any of our Marketing Executives, Patience on 08055554730, Vera on 08078661919, Jerry on 08069449571 or Adaeze on 08162216100. All enquiries or complains should be directed to the Admin Manager, Ebony Multimedia Ltd., No. 12, Abdullahi Adamu Road, by Checking Point, Nyanya Abuja. Tel. 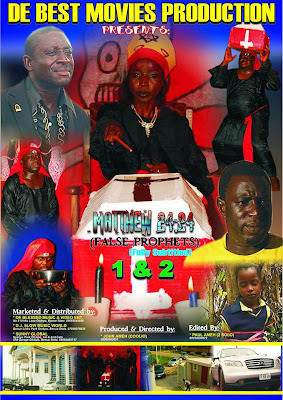 No: 08067874399, 08057460706. Email: daybreaknewsroom@yahoo.com. APC currently is the largest Mega Party in Africa, we must begin to formulate our ideology and develop a blueprint to sell to the Nigerian masses rather than engage in frivolous arguments with those who brought so much pains to our generation". -APC Fan Club. **nobody can stop the former head of state from testing his popularity at APC’s primary. - former CPC spokesman. **Let me tell you, come 2015, General Buhari will participate at the APC presidential primary and nobody can stop him. The Northern group of the newly registered political party, the All progressive Congress (APC), party is seriously considering a younger but popular Northern politician to fly its presidential flag, but one of the founding leaders of APC, Gen. Muhammadu Buhari (rtd. ), has said that he would not step down for any body. This is Otukpo Rice Mill. In the 60s, it was adjudged the largest rice mill in the whole West Africa. Ironically, it is now about the worst in Nigeria in terms of infrastructure. Even at its dilapidated state, Otukpo Rice Mill is still functional. There are people inside this building milling and processing local rice which is believed to have more nutrients than the foreign rice. In your own opinion, what do you think can be done to resuscitate this industry in Idomaland? Constructive comments shall be published on DayBreak Newspaper. Such comments should carry the full names of the contributors and should not be more than 100 words. Nigerian President Goodluck Jonathan has embraced aspects of Islam though a practising Christian. In demonstration of this, the Nigerian leader this morning joined millions of the country’s Muslims in breaking their fast as the curtain was drawn on Ramadan, the Muslim holy month. Photos released this morning by presidential spokesman Reuben Abati show Dr. Jonathan decked in a typical Islamic garb and seated at the breakfast table at the Aso Rock Presidential Villa. One of the photos shows the President warmly welcoming diplomatic guests to the breakfast while another shows him reclining at the table, with a female guest to his left and a male guest to his right, and a third shows him making a speech apparently to welcome all guests to the feast. From the photos, the 28 days fast appears to have taken a toll on President Jonathan, as he looks slimmer and a bit famished. Going by the fruits set in front of him, it is obvious that the Nigerian leader likes apple, banana and vine. A zoologist (he has a doctorate degree in the discipline), the 55-year-old Jonathan was a university teacher before entering politics 12 years ago, rising rapidly through the ranks to become leader of Africa’s most populous country in 2010. Kogi state governor, Capt. Idris Wada has approved disbursement of the sum of N175, 416,000 as scholarship to over 46,336 students in 109 institutions across the country. Governor Wada who disclosed this while receiving the chairman Kogi state scholarship board, Dr. Rekiya Momoh-Abaji and other members of the board stated that it is to boost the morale of Kogi state indigenes in all the tertiary institutions. Ebony Multimedia Ltd., a media firm located in Nyanya, Abuja is seeking application from qualified candidates to fill the position of an OFFICE ASSISTANT. Such applicants must be resident in Nyanya or Mararaba axis and must be computer literate with minimum qualification of SSCE. Mastery of graphics and other computer packages will be an added advantage. Interested candidates should forward their detailed curriculum vitae with photocopies of their relevant documents to the ADMIN MANAGER, EBONY MULTIMEDIA LTD., No 12, Abdullahi Adamu road, by Checking Point, Nyanya, Abuja. Application closes by Thursday, 8th August, 2013. For further inquiry call 08067874399, 08032728529. 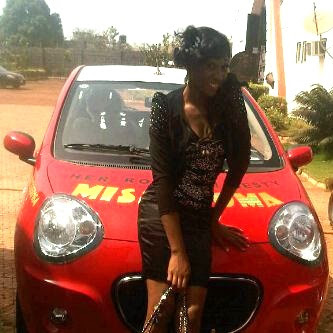 Organisers return Miss Idoma's car, go on humanitarian tour with the Queen. Free Image Entertainment, organizers of Miss Idoma beauty pageant has finally returned the car of Miss Idoma, Ehi Ejeh. It would recalled that FIE last month seized the Queen’s 2012 model Kia Picanto over alleged insubordination and disloyalty. 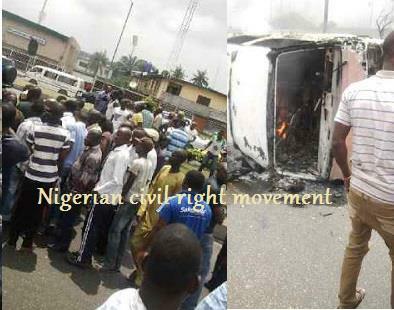 Confirming the news to our correspondent in Otukpo, visibly elated Miss Ehi said she got her car back intact. “Yes’ it’s true, I have received back my car, thank you” she said. When contacted, head-honcho of Free Image, Janet Odoh confirmed that the suspension has also been lifted. Her words, “Yes, it’s true, we were also with the beauty Queen today (Sunday) as she visited Orphanage homes, prison yards and the General Hospital, Otukpo as part of her birthday celebration alongside other queens such as, Miss Nollywood, Miss Tourism and host of others. We promise to bring you pictures from the outing in our subsequent bulletins. 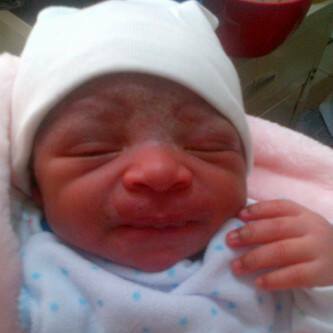 Miss Ehi added another year on July 31. Former Chief Security Officer, CSO to late General Sanni Abacha, Major Hamzat Al Mustapha stormed Makurdi, Benue State capital yesterday in the company of his supporters, including the son of the late head of state, Mohammed Abacha. 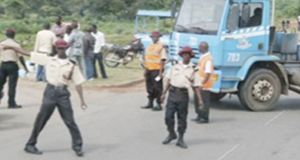 Decked in cream safari brocade with cap to match, he drove in a convoy into the waiting hands of his host, retired Prison Controller, Mr Iorbee Ihagh around 1.45pm few meters away to the toll gate in Makurdi. Mr. Ihagh who spoke to newsmen said that the visit of the former CSO was a thank you visit to the people of the state for saving his life while in Kirikiri prison. 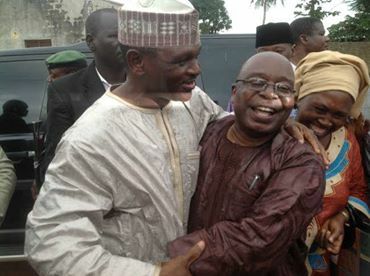 Ihagh told newsmen that his friendship with Al Mustapha started while holding sway as the deputy controller of prison in charge of Kirikiri, explaining that the former CSO was to be arrested for planning coup but he (Ihagh) refused to release him to the military men who came for him. “Our relationship started when I was in charge of Kirikiri prison where Al Mustapha was detained and some military men came for him to be handed over to them without protocol, they could not produce reproduction warrant and I declined releasing him to them. “This however earned me an arrest and I was detained for almost two years in Lagos cantonment. I was released then promoted controller general but thereafter I was retired from service,” he said. The Nigerian Union of Journalists has declared a seven-day mourning period for the death of three of its members, who died in a road accident while returning from Abuja on Friday. 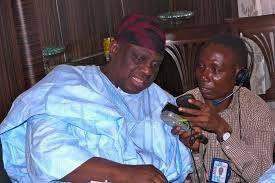 National President, NUJ, Mr. Mohammed Garba, who addressed a news conference in Osogbo, on Saturday, directed that condolence registers be opened in all chapels, state and national secretariats of the union in honour of the departed.